This is why I stalk the Fate/Stay Night wallpapers! Excellent job, I love what you did with the original scan. Colors, shadows, everything was very well crafted. The only thing I can nitpick is the text. I think it's a bit too hard to see. I might of changed the color or put it in a different place, but as it stands, it's difficult for me to read it as it blends into the background a little too well. se ve muy bien, gracias por subirlo! 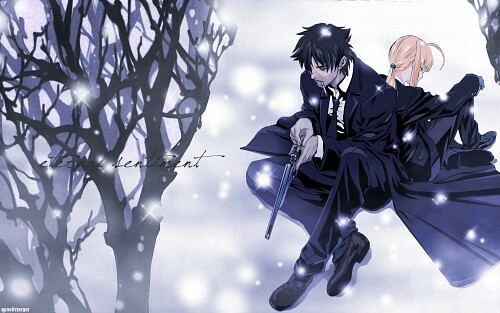 Wow, Kiritsugu is so cool together with Saber) Thx for sharing!